According to a link tweeted by one of my former philosophy professors from CUNY, Dr. Massimo Pigliucci, Biologist Jerry Coyne used bogus physics to push his atheist agenda. In other words, he broke one of the biggest rules in academia by using fake information to do research and push ideas. Coyne is a secular Jew who is an outspoken proponent of atheism. He blogs his atheist agenda online at the blog https://whyevolutionistrue.wordpress.com/. 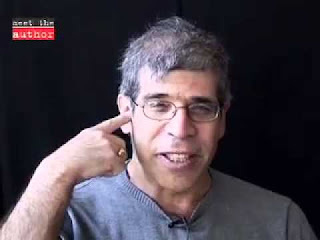 Coyne like many atheists relied on YoutTube videos for his information. Recently, an alleged atheist who blogs at AtheismInTheCity and is named Mike resorted to the same tactic in an exchange with me. He used videos from YouTube which he believed helped his poor arguments. They did not. It seems that this is a universal tactic among atheists due to the fact that atheism cannot be defended with science or reason. William Hounslow who blogs as the fake "Rosa Rubicondior" also does this. These alleged atheists do not have academic credentials so they become google scholars by googling things and splicing up what they find to make it presentable rubbish. Atheism is speculative rhetoric that feeds a cognitive bias. Science cannot support it. Apparently, Coyne believes that the CMB or Cosmic Microwave Background is proof that the multiverse exists. This is just nonsense. While there are models out there claiming that a multiverse exists, we just do not have any evidence. Moreover, even if a multiverse did exist, we would have no way of studying it because it would be outside of our realm of existence. There is just no evidence for it. The idea of a multiverse is also problematic. If there are "bubble universes" out there and our universe was allegedly created when two of these "bubble universes" collided, then how did the two come to be if there had to be other prior existing "bubble universes" which collided to create those? It creates a paradox. For every possible universe, there has to be an antecedent that created it. When it reaches the "ends" of regression, then what created that "ends?" An uneducated atheist may say that the universe is eternal, but general relativity says that universes have to have a beginning. Furthermore, I really do not see how the multiverse model can show that there is no such thing as a philosophical or theological thing as fine-tuning or a fine-tuned universe. It would just show that God is a master builder who loves to create different forms of universes. In any event, we see the dishonesty of atheists even in the scientific field. It speaks much to the inability of atheist scientists' attempt to use science against God. Since actual science is not against God, they have to make up a version of it that does. I always disliked Coyne, now I have reasons to dislike him even more. These "Google scholars" are common nowadays. Instead of reading atheist pilosophers (Ruse, Nagel, Oppy, Martin, etc), they prefer to google "x argument debunked" and then copy and paste what they find.